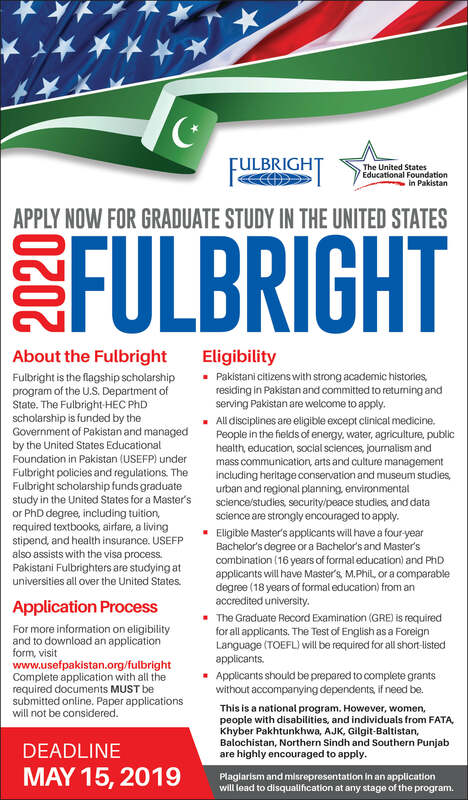 Fulbright MS and PhD scholarships is funded by the Government of Pakistan and managed by the United States Educational Foundation in Pakistan (USEFP) under Fulbright policies and regulations. Last data to apply for scholarship is May 15, 2019. Higher Education Commission (HEC) Islamabad is arranging a video conference session with KEMU on Wednesday, April 3, 2019 from 12:00PM to 2:00PM, for orientation of the said scholarship where USEFP and HEC will brief the universities and potential applicants/students of universities. All students can attend this video conference session who want to avail this scholarship opportunity.